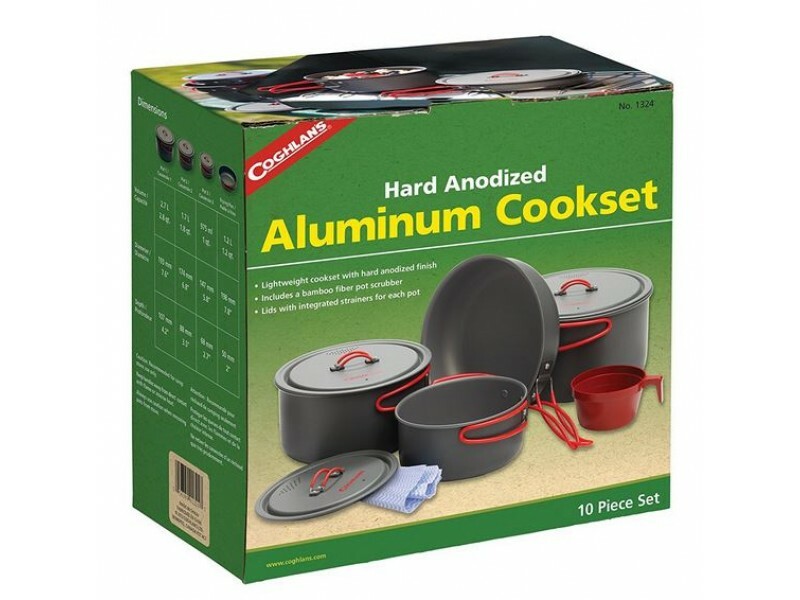 Coghlan's Hard Anodized Aluminum Cookset is a 10-piece hard anodized aluminum cook set that was designed to use on camp stoves. 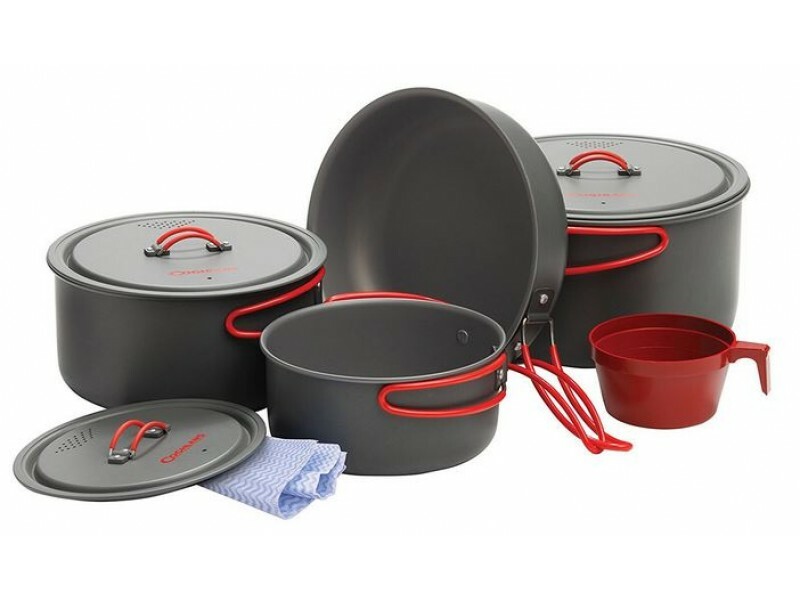 Great for storing in small spaces as each pot and pan has swing-out handles and can be stored within each other. Ideal for family camping trips, RV motor homes, and more. The Coghlan's Hard Anodized Aluminum Cookset is a lightweight cook set features a hard anodized finish on both the interior and exterior of each pan. Not for use on camp fires; use only on gas stoves or heating elements (400-degree F maximum cooking temperature). 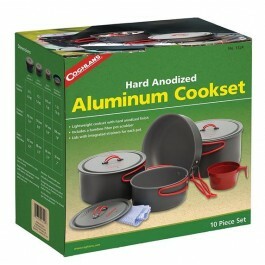 Coghlans Hard Anodized Aluminum Cookset is also Dishwasher safe. This item is not dishwasher safe. Wash only by hand with mild soap.